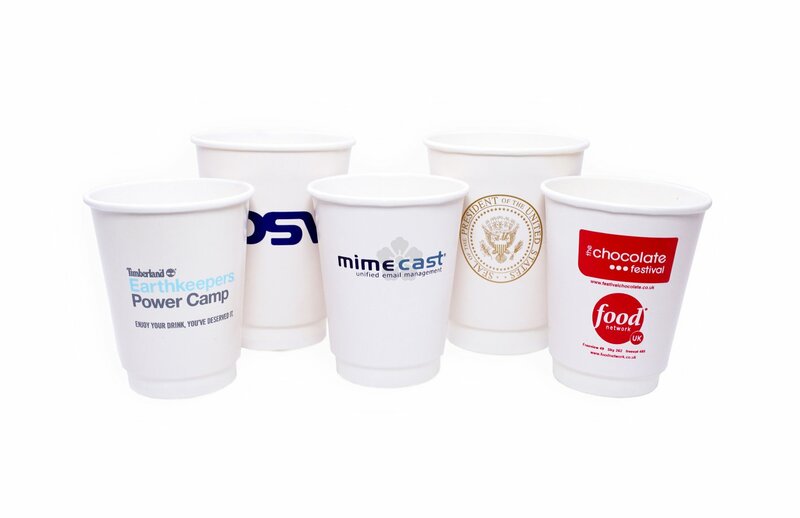 Drop the plastic lined, hard to recycle paper cups and hand out one of our personalised Biodegradable Paper Cups. Made with a special lining, which is safe to drink from and perfect for making the mugs recyclable afterwards! Internal lining is designed to disintegrate when either recycled or put into composting, making it an excellent solution to the traditional plastic lined paper cups. Double walled as standard for extra heat protection. Prices as standard for an 8oz version of the cup. 12, 16 & 20oz options as well as lids are available - POA. 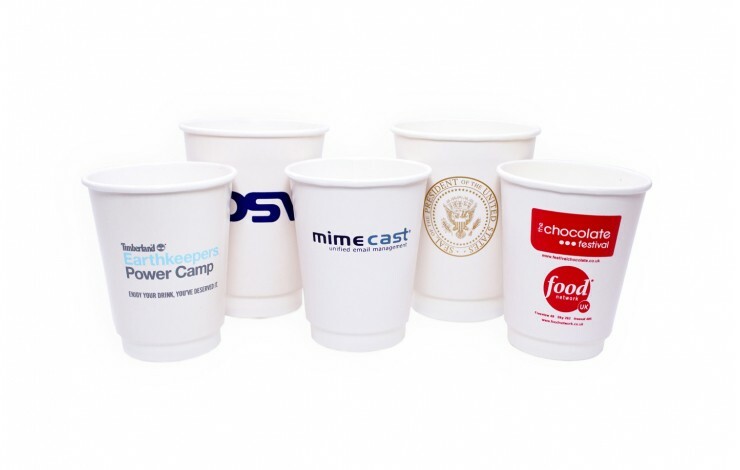 An eco-conscious solution to disposable paper cups! Biodegradable lining - perfect for composting or recycling. Customised in full colour as standard. Note: Setup is charged at £110.00.